When it comes to choosing an everyday backpack for the creative person there are many things to consider. The amount of pockets for storage, the padded support, the price, the brand, the material and the colour. The perfect backpack needs to be large enough to fit the essentials such as laptops, chargers, sketch pads, stationery but needs to remain compact, lightweight, durable and of course stylish. desktop understands the struggle of searching for a well designed backpack that ticks all the boxes, so we decided to choose our favourite international designs available in stores across Australia or online. 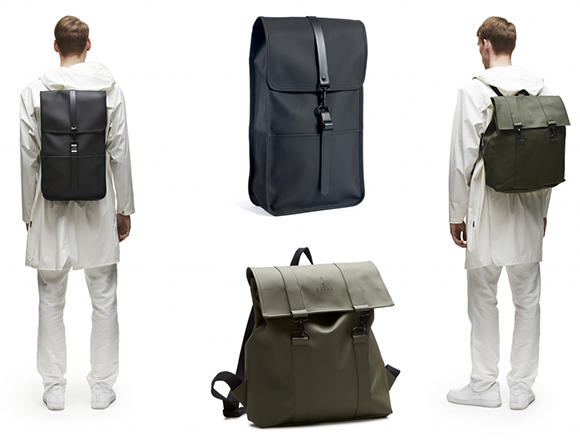 These backpacks have the cool factor while still being comfortable and effortlessly efficient. If you’re ready to invest a little for the sake of your shoulders then we suggest these top five backpacks. Hailing from Denmark these sophisticated and stylish backpacks are named RAINS due to their sleek and scheek waterproof exterior. The backpacks come in a range of styles and colours but one thing is for sure, they are big. So big you can fit in any size laptop, charger and your lunchbox. The danes are known for their good designs, and RAINS are no exception to the rule. Pop this baby on your back and you’ll have people asking where you got it from. “Oh, it’s from Denmark.” Can it get any cooler? Archival rugged rucksacks were created with one goal in mind: to be the best quality bag inspired by historic apparel. The backpacks are as uncomplicated as they look, built to meet even the most demanding users needs with plenty of room to store heavy goods. Materials such as stout and woven waxed twill are chosen for their historical accuracy, aesthetic appeal, durability, ease of repair and minimal environmental impact. 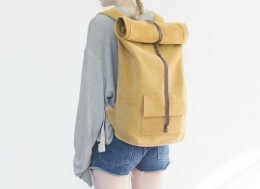 This sensible backpack is made to be passed down the generations and definitely one for the archives. 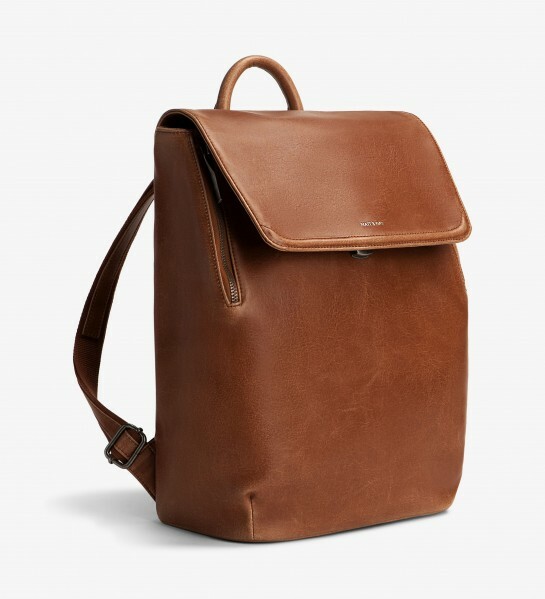 You wouldn’t pick it from the outside, but these leather-look backpacks have absolutely no animal-based material. They are vegan and super on trend right now. Matt & Nat backspacks aim to explore the relationship between MAT(T)trial and NATure to creative beautiful products, made with love. Matt & Nat use various sustainable and eco-friendly materials such as nylon, cardboard, rubber and cork and use 100% recycled plastic bottles for the interior. These vintage style packs also feature pockets big enough for 13″ laptops, extendable straps and come in a variety of colours. Eco-friendly and efficient. Ticking all the boxes! 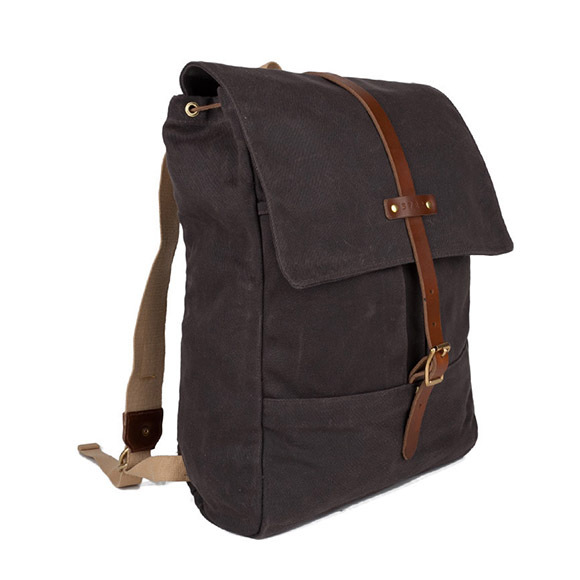 Wearing a cool and classic STATE backpack you will be making a statement and supporting a good cause. For each backpack sold, STATE will return the favour and hand deliver a ‘goodie bag’ packed with essential tools for success for an American child in need. 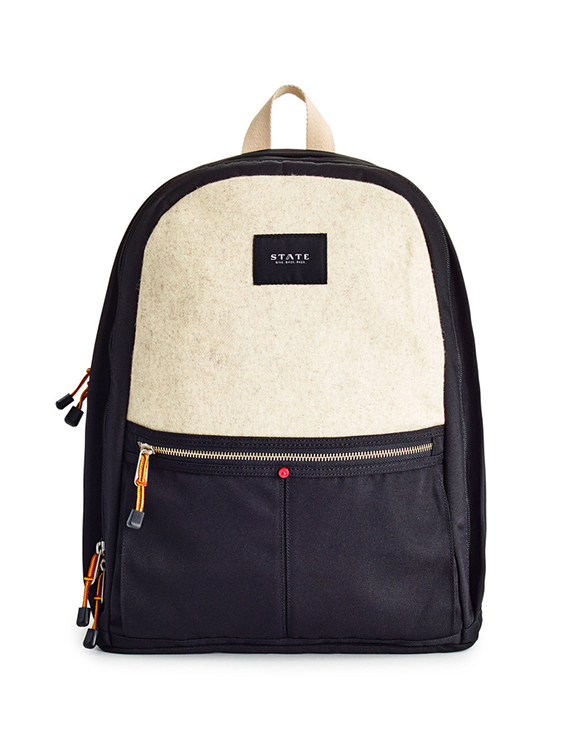 While doing good you can also look good wearing a stylish STATE backpack featuring a wool blend front panel and supportive body made from 100% polyester. It has many hidden compartments, including a roomy padded sleeve for the larger 15″ laptops, iPad pocket, a front stash pocket and 2 side pockets. STATE has your back and we support this pack. 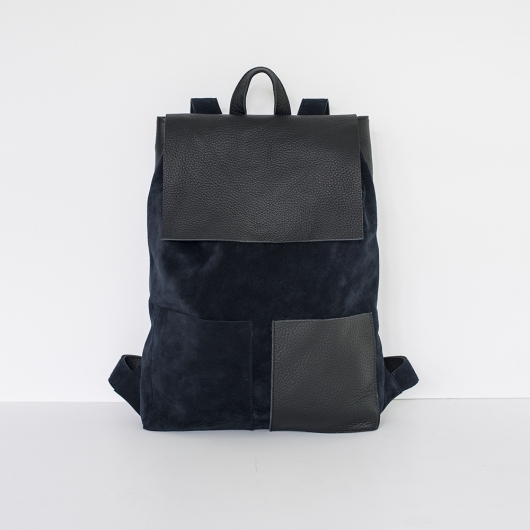 Mum always knows best, so when we stumbled upon this swish backpack designed by MUM & Co. we knew it was something good. The pack is versatile and practical, two of the common fashion laws mothers love to preach. The MUM & Co packs are small enough to replace the classic handbag yet remain comfortable and equally as elegant. It also fits all the things you need including lipstick, wallet, train pass and even your Macbook Air! Made from natural suede, leather and a super soft velvet interior the pack feels great to touch and will definitely get Mums approval.